I spotted a Groupon for New Lanark entry back just after Christmas and thought we might as well get it and check it out. We’d never been in to the attractions and exhibition areas with the little lady. In fact I hadn’t been into New Lanark and to the Annie McLeod experience since I was a kid. Turns out my vague recollections of it from back then are pretty similar to what it is today. Anyway, we finally managed to take the little lady along on a rainy day a few weeks ago, and we had a great time. The Annie McLeod Experience is an indoor ride. 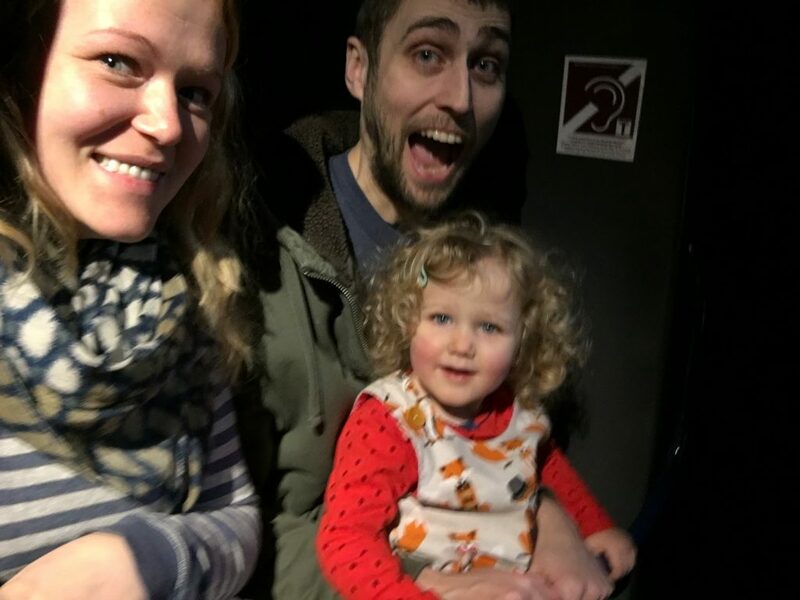 You sit in a pod (the pods aren’t massive but husband, toddler & I fit in together no problem) are strapped in and taken round an audio visual experience that tells the story of life in New Lanark in 1820. The story is told by the ghost of young Annie McLeod. It’s not a fast ride at all and it’s really not scary. Some bits of it are a bit dark but the little lady seemed to really enjoy it. It’s not long – maybe 10 minutes at the most – and she sat through the whole thing without yelling “I wanna walk” or “Let me out” at any point. The rest of the bits we wandered through were interesting for us, but less so for a toddler; much like most other museums we’ve ever gone to. 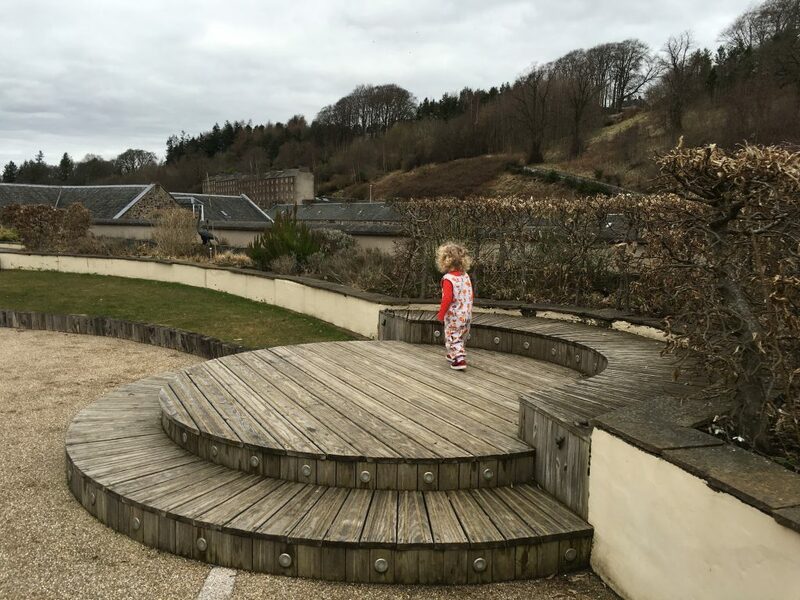 The roof garden at the very top of the building is nice to explore; there are lots of animal sculptures, big and small, that the little lady was quite enthused by. And of course walls to climb on and walk along. 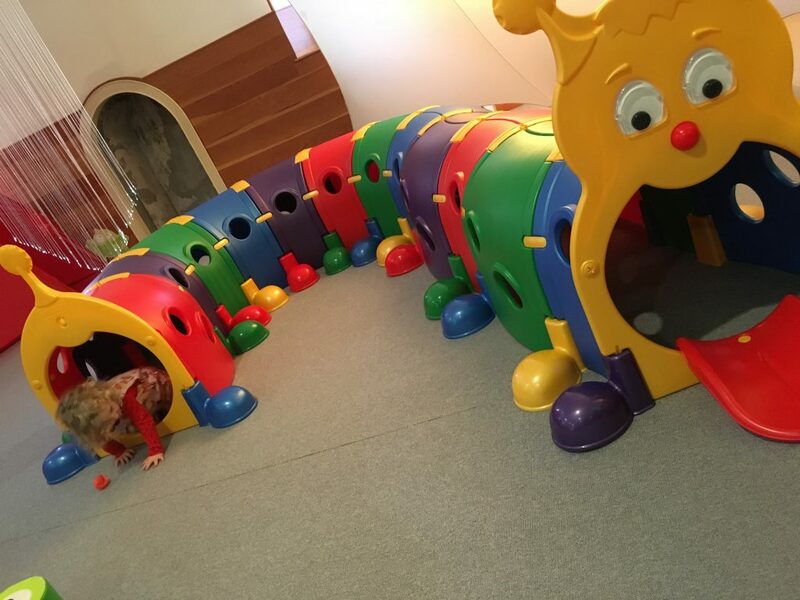 The soft play is aimed at young children. 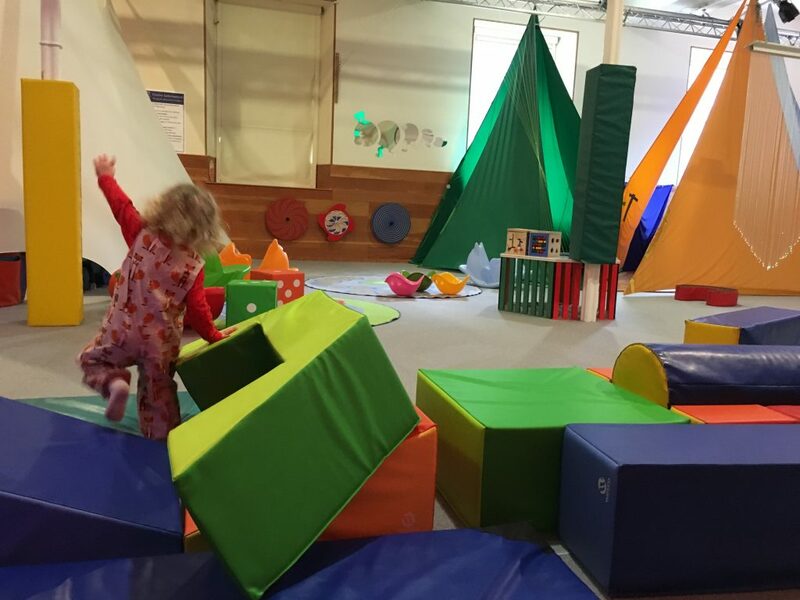 It has some soft blocks to jump around on, a caterpillar tunnel, some see saws, teepees, puzzles and various other toys around the place. It’s very much a sensory play area; there are some lovely chimes and the lighting changes. For pre-schoolers it is a very interesting experience. I think that if your kids are over 5 it is quite likely that they’ll be uninterested in it, but the little lady loved it. She had great fun clambering over the blocks and running about in the teepees. And she and her daddy had a great time playing with the puzzles. The cafe was really busy when were there. It’s quite a big cafe and serves up hot and cold food, a good selection of cakes, biscuits and bakes, and lots of snacks and drinks. They have a nice kids selection too. The little lady had a kids lunch box (she loves a lunch box) and we just got some nachos and a sandwich to share. It was nice. The outdoor play area is really well maintained. It is all wooden and has a few slides, see saws swings etc. There are a couple of bits that are really toddler friendly. 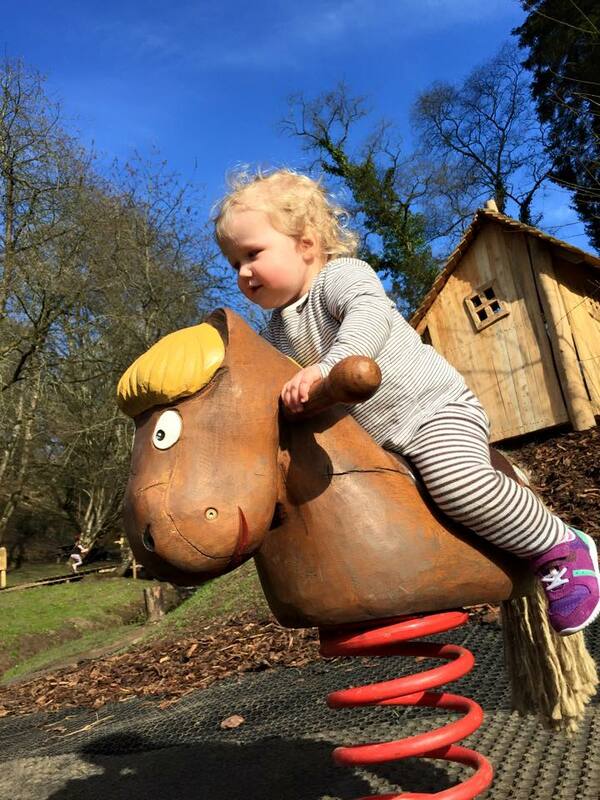 There is a little burn running down the middle of the play area that the little lady was quite intrigued by. Again with the stones. 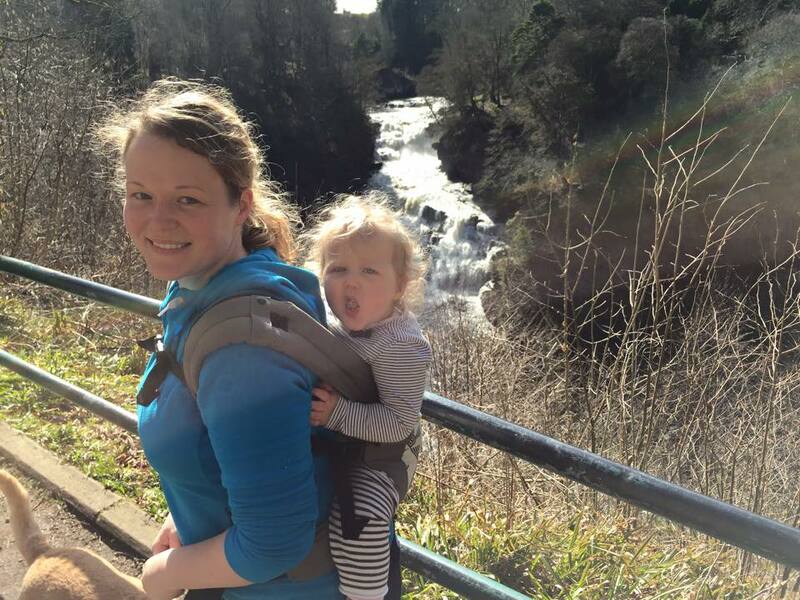 If you fancy enjoying a bit of the outdoors, the Falls of Clyde Nature Reserve is right next to New Lanark. There are a couple of walks within the nature reserve but the Falls of Clyde walk through the ancient woodland and the gorge begins at New Lanark. The walk to Bonnington Linn is about 3 miles but there’s lots to see & explore along the way if you don’t want to go the whole way (or if little legs get tired). The peregrine watch site is along this walk as well if you fancied joining in that. It’s not pram friendly. 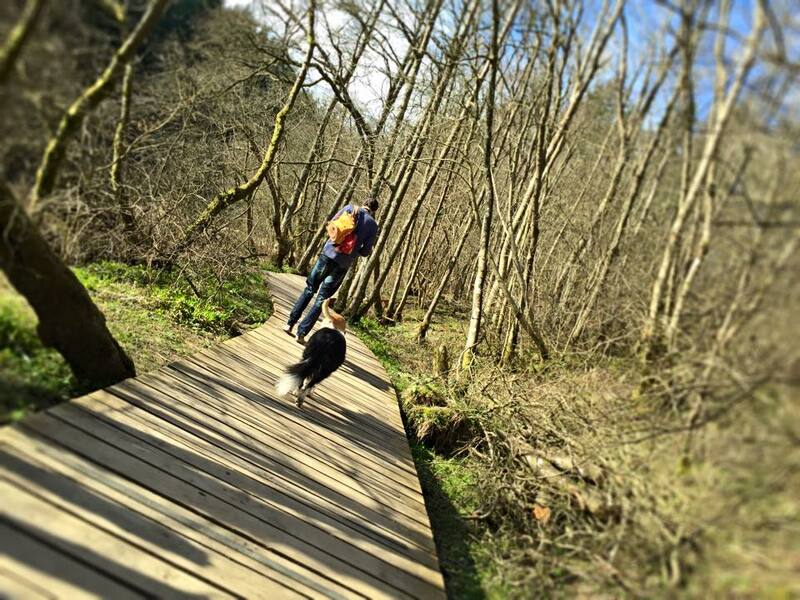 There are recently built boardwalks to keep you out of the mud but not long into the walk there are steep slopes and stairs to get up and down. I’d definitely recommend a carrier rather than attempting to take a pram along there. Parking is free and you can wander around the grounds and into the nature reserve at no cost at all. 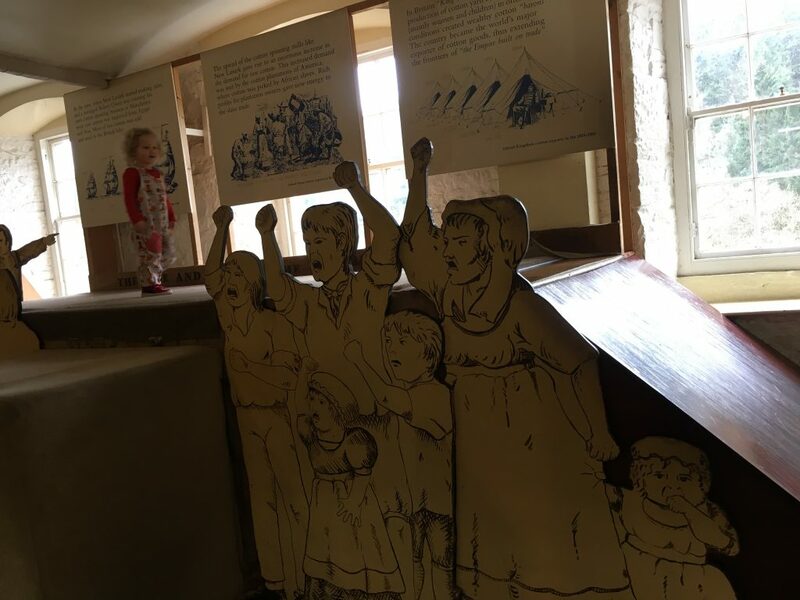 You can get a passport which includes entry to the Annie McLeod Experience ride, Mill, School, Gallery and all the other attractions within New Lanark. This costs £9.50 for adults, £7 for children (3-15) and is free for under 3’s. The soft play area is £1.50 extra per child. Family tickets are available. 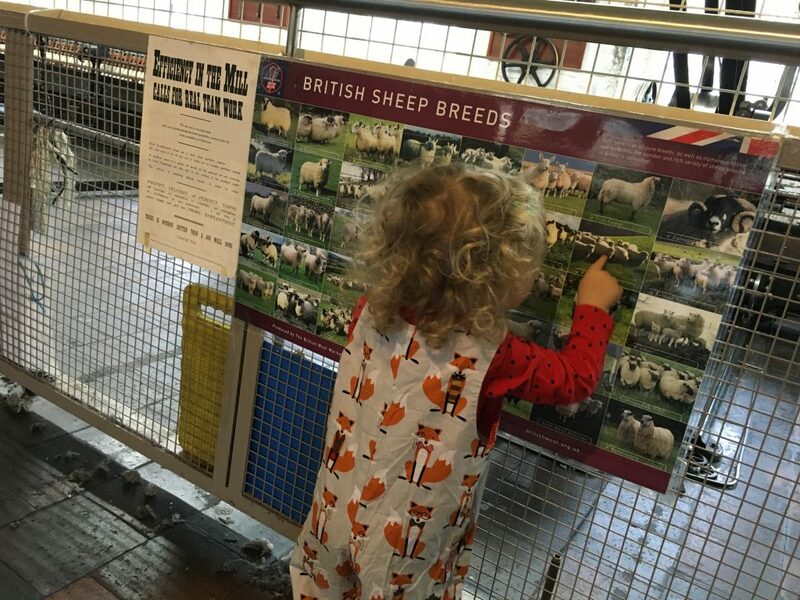 You can also pay to just get into some of the bits rather than all of them – if you wanted to just go to the soft play area it’s £3 per child without the passport ticket. 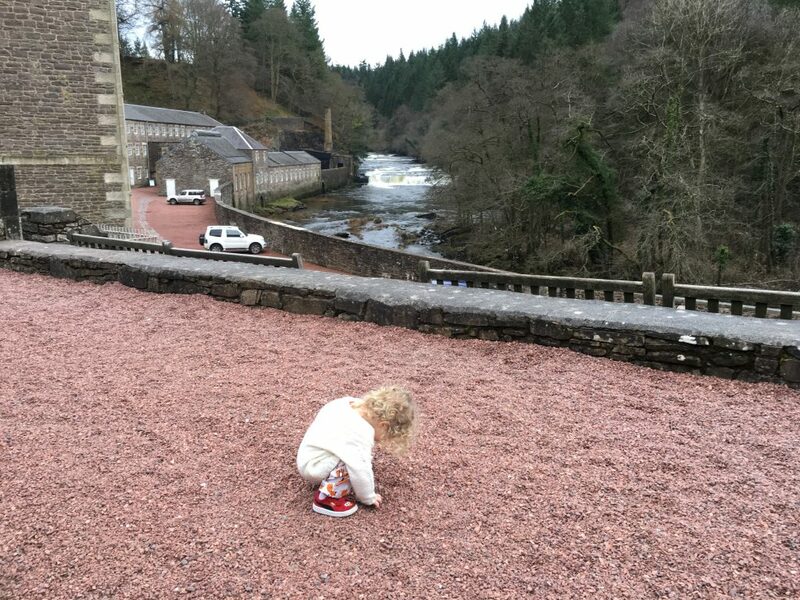 There is lots of parking available at New Lanark. The walk down the hill is quite steep so if you’re 8 and a half months pregnant I would say don’t expect to get back up the hill very quickly. 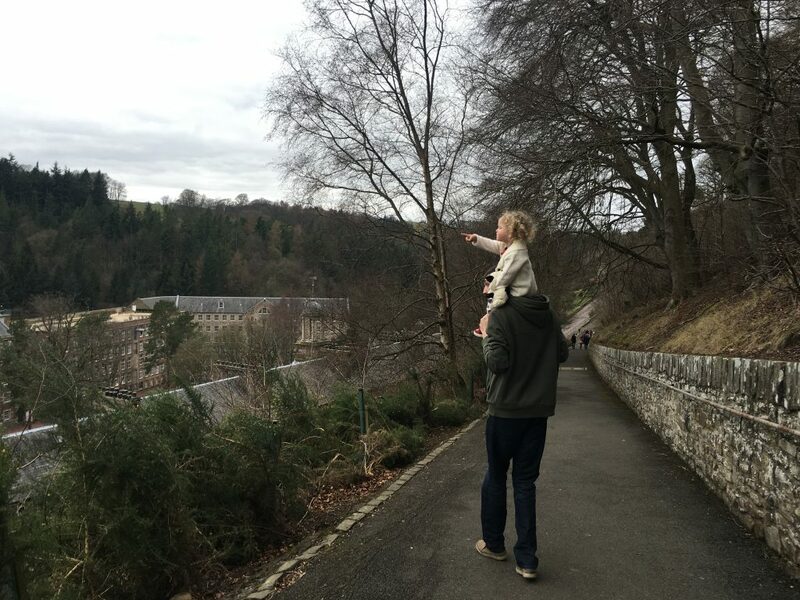 Disabled parking is available down the hill within the New Lanark site. 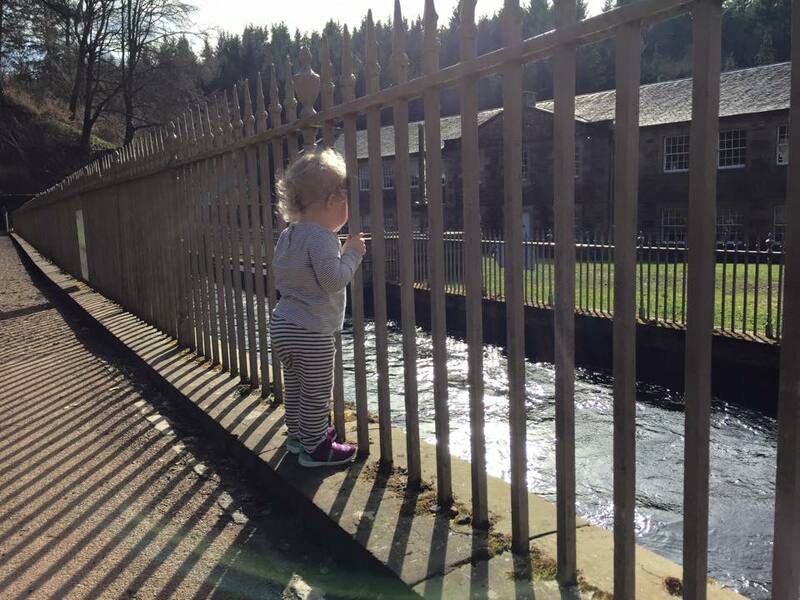 New Lanark is a great day out whether you want to spend it indoors or outdoors. 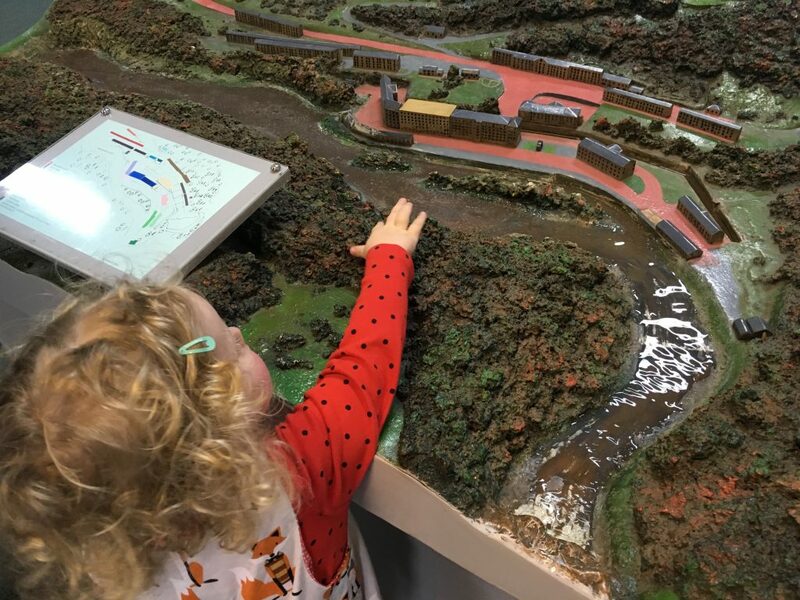 The Annie McLeod Experience is something fun and unusual for a rainy day, and there are loads of buildings and bits within New Lanark to explore. The kids play areas, indoor and out, are both great fun. 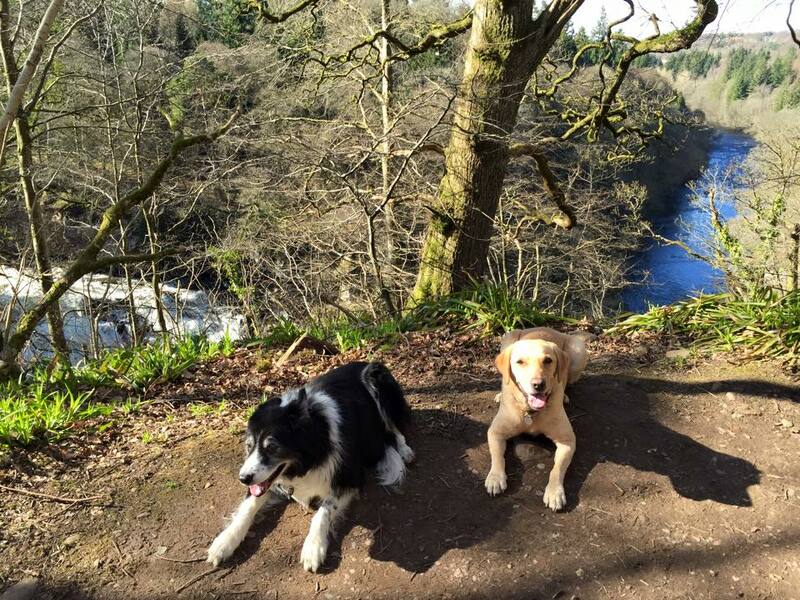 If you’re looking for a nice walk, a spot to picnic and somewhere to play, New Lanark and the Falls of Clyde Reserve is the perfect place. The walk can be a bit busy on a nice day, but it’s really beautiful. Our dogs love it there! New Lanark World Heritage Site is located almost an hours drive from Glasgow out next to Lanark at New Lanark Rd, Lanark, South Lanarkshire, ML11 9DB. You can find a map and more information about the Falls of Clyde Nature Reserve here.